Just a few kilometres from Lake Garda you can reach Verona, one of the oldest historical centres in Italy and perhaps one of the most beautiful. 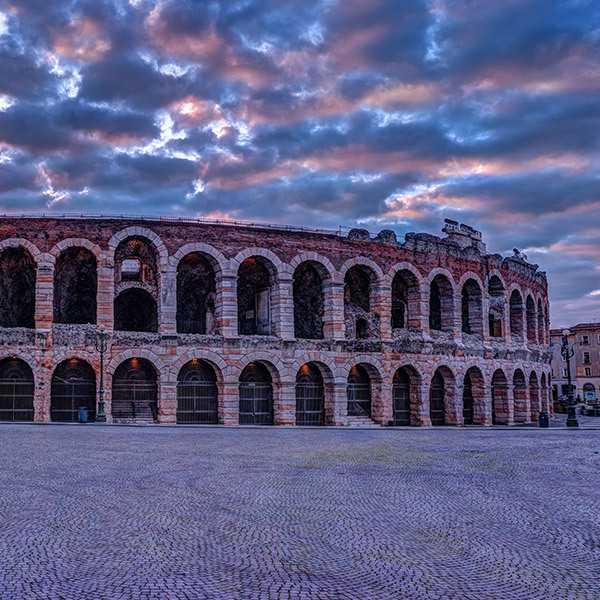 In addition to visiting the city, you can enjoy many summer shows, Opera and modern music concerts, which are set in the enchanting settings of the Arena of Verona and the Roman Theatre. Other cities that can be easily reached from Lake Garda are Brescia and Mantua. Brescia, known as "the Lioness of Italy" , has the reputation for being a practical and dynamic city, tenaciously devoted to work, the essentials. It is for this reason that the city always astonishes tourists, with the liveliness of its squares and the mystery of its ancient alleys, to the art of its fountains and the elegance of the noble palaces which you can catch glimpses of from the their half closed doors. With its cloisters and churches, its exhibitions, always up-to-date and appreciated all over Europe. With its gastronomic tradition and its great Franciacorta wine!